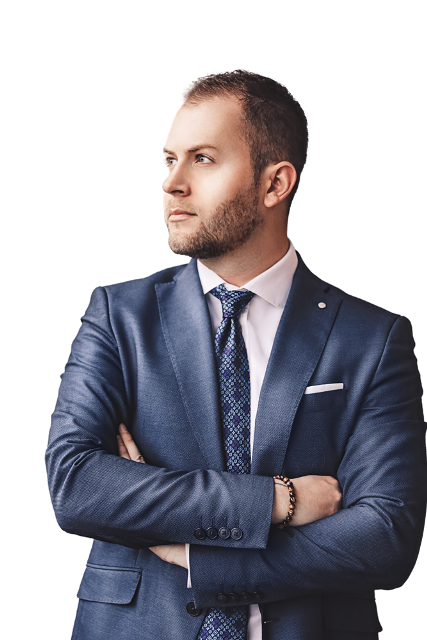 From an online e-learning platform to a proprietary platform that all but manages campaigns for you, consultant and entrepreneur Bogdan Stevanovic is changing the way companies approach digital marketing. Aquare.co provides complete digital marketing services from SEO to paid advertising. We provide that service to businesses looking to increase their revenue by converting more customers online. We also partner with traditional marketing and PR companies, working alongside them ‘in-house’ so that they can provide expert digital marketing as part of their own service. This allows them to expand their offer, making them more attractive to potential clients and ultimately win more business. Stevanovic.io is my 1:1 consulting service. This is for companies and individuals who want strategic guidance on what they should be doing online. Or they want to grow and increase their profitability, but their in-house marketing team is not performing well enough. I also review existing relationships with agencies and suppliers to make sure businesses are getting the best return on their investment. This includes free consulting for charities and I even run an initiative called “Agency Nightmares” where (if you qualify) I’ll come in and “fix” problems created by poor industry practice and help companies whose agencies have let them down. For readers that are interested, I put out a regular newsletter which gives access to a wealth of news, reviews, insights, advice, tips and resources to help businesses on the road to success, protecting them from common pitfalls along the way. Acadme.com (Agencies Certification of Advanced Digital Marketing Expertise) is something I’m really proud of. I created it to address the growing talent gap in digital marketing which is crippling companies’ potential. If you’ve not already heard about this talent gap, it’s one of the consequences of the fast moving pace of online over the last 10 years. As a result, there are a huge number of companies doing digital who fall short of what many agree is an acceptable standard of expertise (hence my “Agency Nightmares initiative). Aimed at agencies and businesses rather than freelancers, Acadme is an e-learning platform where companies can up-skill their digital employees and build a rock-solid foundation for providing real ROI in things like SEO, AdWords etc. It will soon be accessible 24/7 from anywhere in the world, and you can do as much or as little as you like. How is it different from others? What’s your specialty? Imagine you don’t have an in-house team and they haven’t tried to offer digital so far. You are missing out on opportunities in the market or losing out to competitors. Or maybe you do have an in-house team but it lacks the technical knowledge and consequently you are offering a sub-par service compared to your competitors. This is probably killing your client retention rate. We provide two solutions: we can partner with you to work with your in-house team to provide digital services, or through our Agencies Certification of Advanced Digital Marketing Expertise (ACADME), we can teach you how to actually get positive ROI out of your client’s campaigns rather than the basic rehashed stuff sold everywhere. A huge part of this is the highly efficient and easy to manage platform we’ve created called Omniboard. It’s a completely hands-off solution, online or available as a downloadable app, and it includes live reporting data and a dashboard front end. Omniboard allows our partners to manage multiple clients and campaigns with great ease. If you’re an agency, we even include sales and client on-boarding training as part of the relationship, so you know exactly what to say to a client in any situation. We’ve seen businesses add as much as 30-60% mark-up on top of our reseller rates and still stay ahead of their competitors because they offer so much more value. What advice would you give companies and agencies trying to keep up with the rapidly changing landscape in digital marketing? Be 100% value-focused. Everything Aquare does is about providing tangible value for the client. I know this sounds a bit like a cliché, but operating a transparent, open policy when it comes to working for a client is the only way to ensure retention in such a crowded market. Give them access to all their data so they can see the results. We do it through Omniboard in real-time. I’m honest about achievable results in the services I provide – which means Aquare won’t promise the world in a few weeks: things like SEO, PPC, Content Marketing etc. take a while to really get up to speed and start providing ROI. Providing value and helping other companies provide more value to their own clients is our mission statement. We are trying to make a positive impact on the industry by creating higher standards.